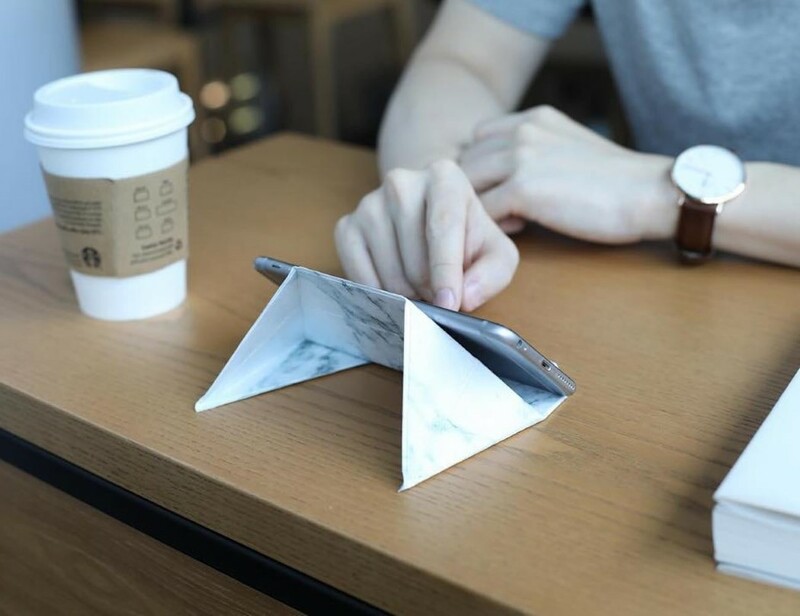 Crafted from environmentally friendly PVC and PP, the FODI is a nifty little stand for your tablet and smartphone. 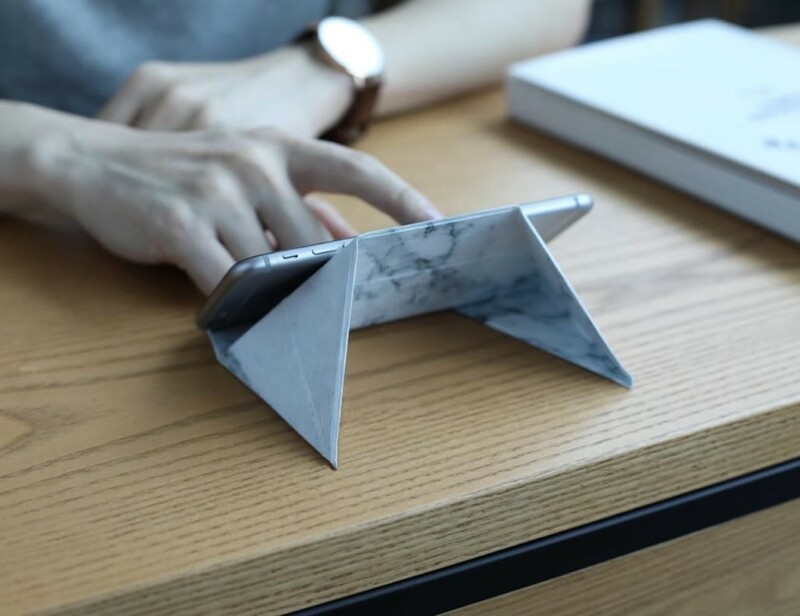 When flat, it measures a cool 1mm thick, and uses the powers of Origami to fold open into a convenient stand that lets you dock your smartphone or tablet onto it at a convenient angle for watching videos, movies, or just regular video-chatting. 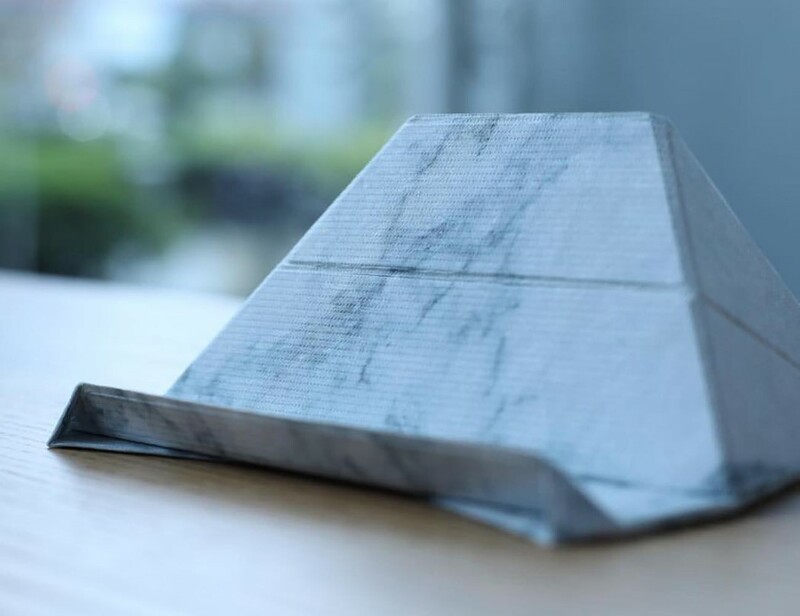 The FODI is made from polymers that provide strength over periodic use (the PP gives it its flexible ability). 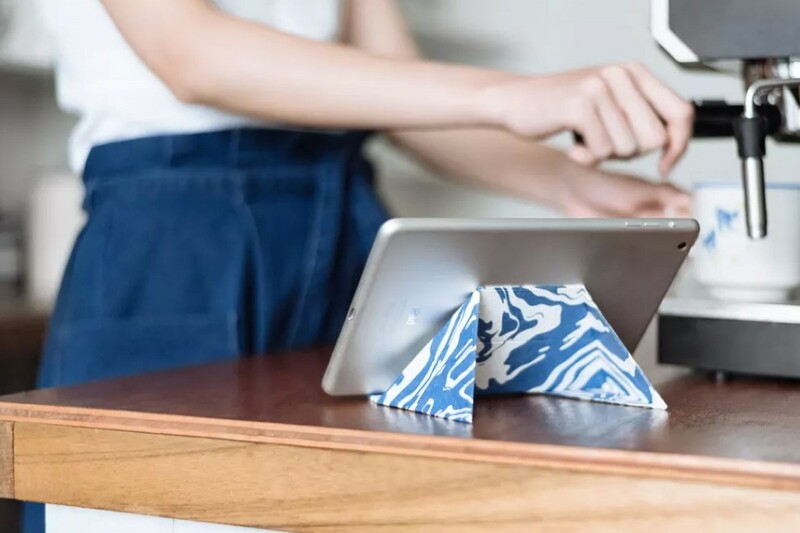 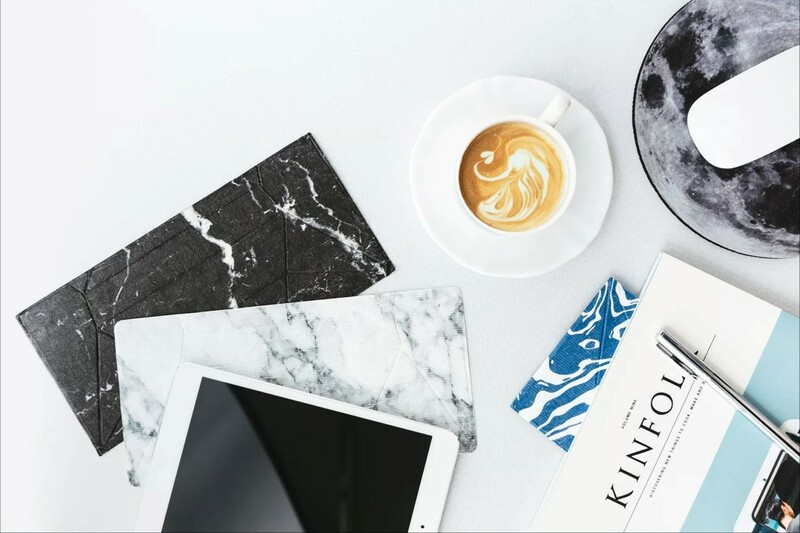 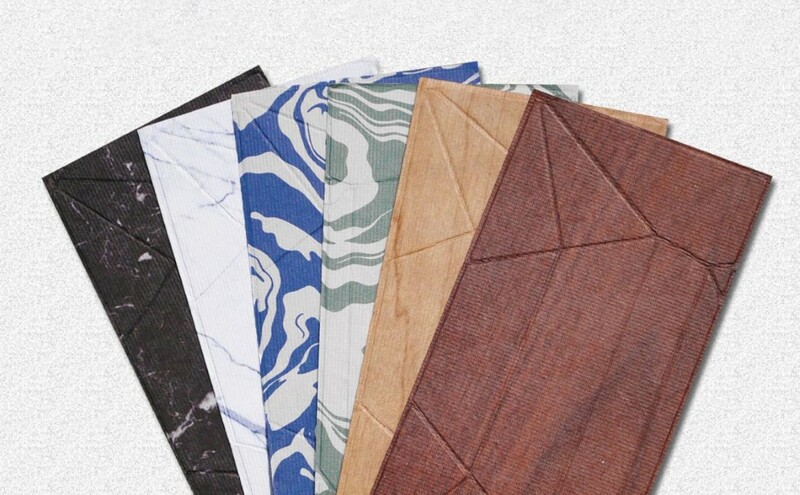 Designed with alluring patterns like marble, granite, wood, or even graphical designs, the FODI goes rather well with the tech that docks on it as well as the decor around you. 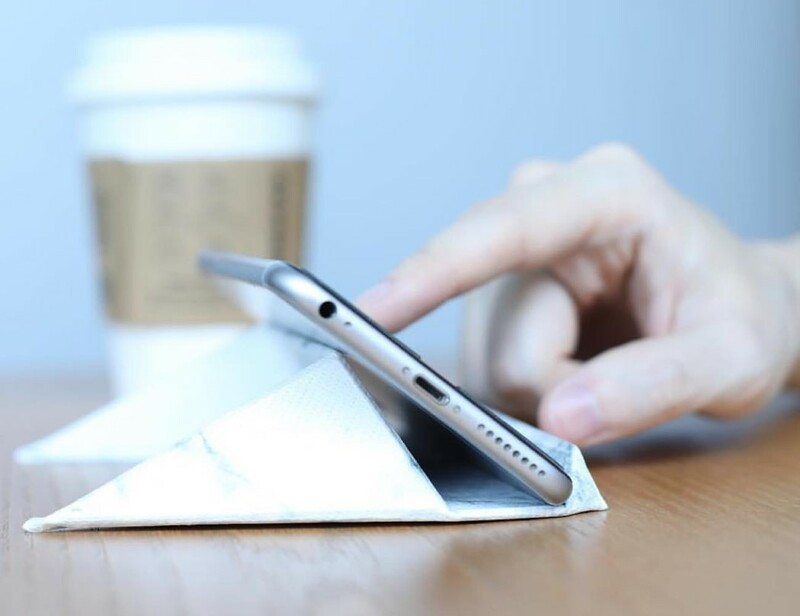 Its incredibly slim profile even means you can carry it around with you in your tablet-sleeve or backpack. 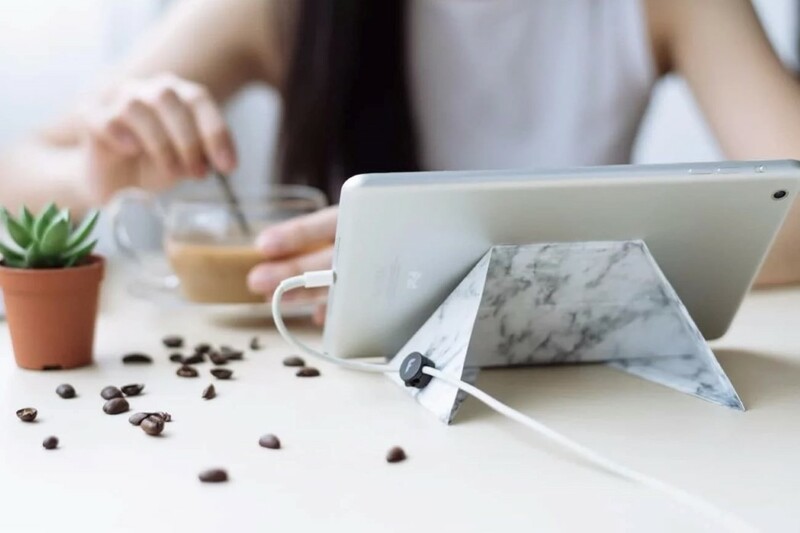 If only it could wirelessly charge your devices too, that would just be perfect!